It started when I was 24 and searching. I had just finished college, I had embarked on a bicycle trip from Minneapolis to Seattle (in March! That's a blog post in and of itself), and I had flown back home to....my college town. So now I was a townie. Great. One of those weird older people I had hung out with as an actual student, wondering in the back of my mind why they didn't go forth after graduating. I had graduated in Spanish, without any actual plans as to what I wanted to do with my life. I found a job as a teacher's aide in a classroom designed for high school students with autism. It was definitely fascinating and challenging, but I guess I wasn't ready to settle down. I grew weary of being stuck in a building all day. I distinctly remember being bothered by not experiencing weather. If it had rained that day and I didn't get to feel it because I was working, I was very disappointed. I began to think about what I wanted to be doing all day, physically. For example, whether you're an engineer or an accountant, if someone looked at you, they might not be able to tell the difference because both people would be at a desk using a computer. I knew that if I were to be healthy as I grew older, I'd need to maintain an active lifestyle, but if left to my own devices, I'd read during my off-time (I LOVE to read). I also knew that the mere fact of being outside within nature is healing, but again, left to my own devices, I'd rather spend the majority of my time inside. So I figured that I'd build those two requisites for health into my job, forcing myself to do them. I also had a desire to grow my own food because I was starting to hear scary things about the additives in processed food and the pesticides in conventional agriculture. 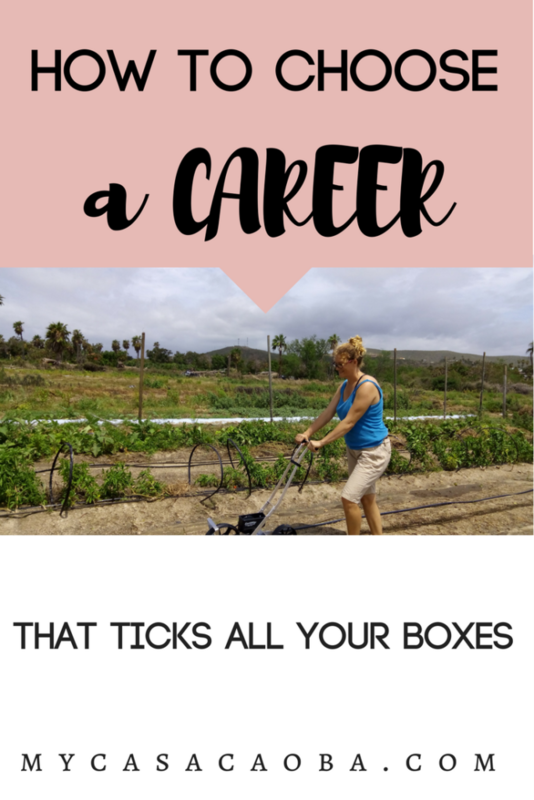 I realized being a farmer ticks all those boxes--active, outside, healthy food--perfect! It's interesting to me now how obsessed I was with my own mortality at age 24. It's also fascinating that making money didn't enter into the decision. At the time, I was practicing aikido, a martial art. I actually started the practice to deepen my own yoga practice. I had heard that aikido sharpened the connection to the practitioner's center, and doing yoga from the center is essential. From the first session, I was hooked. Now I was also 24 and wanted to travel. I spoke Spanish, so I decided to travel through Mexico and South America, staying on different farms along the way, exchanging my labor for room and board. I figured I'd learn so many different techniques, which would be helpful for when I started my own farm. Of course, now I had to find farms that were close to an aikido dojo. So that certainly would narrow things down. I typed into Google: "aikido farm", and up came Aiki Farms. They had two locations, Mexico and Connecticut. Perfect! Farming, Mexico, and Aikido.....again, ticking off those boxes! I got in touch with the owners and soon I was on my way to Mexico, by way of Connecticut. In Connecticut I stayed with a colorful Zen Teacher, and that is a whole other story. In Mexico, I connected with Dominique, who is a farming aikido teacher. She welcomed me into her home and taught me everything she knows. We worked on the farm, practiced aikido, and made a ruckus in our off-time. Part 2 of this story is why I stayed in Mexico instead of continuing my South American farming tour. Want more? Enter your email to get these posts straight to your inbox! If you enjoyed this post, hover over the image below and save it to Pinterest! Thank you!